Providing low APR loans, and up to 7.5% return for investors. What is the lending club? What is a lending bank? What is a green loan? Is it a sin to lend money? Peer to peer (or P2P) lending is the process of matching individuals and businesses to borrowers, often through online platforms. By operating without a bank, and using online platforms, they operate at a much lower running cost than a traditional financial lender, helping to provider a better rate of return for the lender, and a better loan for the customer. How does a peer to peer loan work? An online service matches investors with customers looking to borrow money. The service then takes a fee for providing the connection, usually included within the APR% paid back by the customer taking out the loan. Some providers also charge the investors for assessing the risk of the loan. 1. Is it safe for the investor? 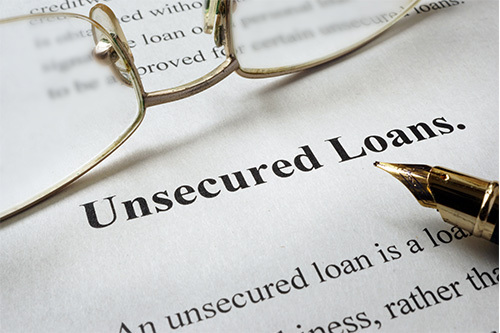 As peer to peer loan companies offer you a lot of control over how you spread your assets, it’s as safe as you make it. There have been reports of people not diversifying across enough companies, and therefore taking a larger hit if one company defaults on their loan. The recommended spread is to invest no more than 2% per individual company. Some companies such as RateSetter have a parachute fund that aims to payback any losses experienced by their investors. 2. Is it safe for the loan customer? Peer to peer loans are as safe for the customer as a traditional unsecured bank loan. You will also get a much better interest rate than a traditional bank. If you want to apply for a peer to peer loan, for personal or business use, here’s what you need to know. Rates and application acceptance does vary based on time and your credit score. Rates accurate as of 23/11/2017. You can improve your credit score with our useful guide here. If you’re looking to take out a peer to peer loan, then consider the following pros and cons. Better interest rates: you will often be able to get a much better APR rate than from other loan sources. Online process: less hassle, less time taken. Early repayment: many providers don’t charge extra for early repayments. 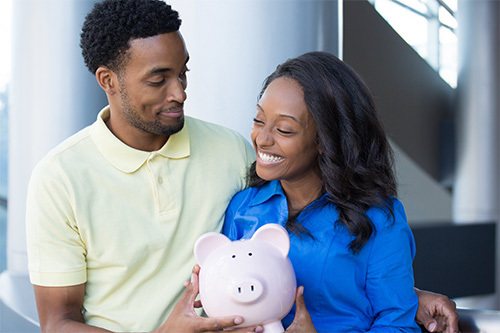 Amount can be limited: if no one is willing to invest in your loan, the amount you borrow could be less than you want. Unknown investors: you have no direct contact with the people lending you the money. If you’re thinking of investing your savings into a peer to peer lending scheme, then here’s what you should consider. The best peer to peer lender for investing your money in is RateSetter, because their parachute fund means that if someone defaults on a loan they repay you the amount lost so you’re never in the red. There is a big debate about the pros and cons of peer to peer lending investment. 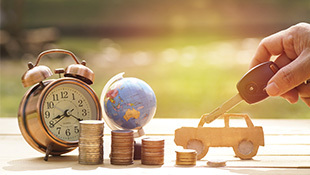 Higher rates of return: with companies offering up to 7.5% return on investment, it’s a much better return than could be expected in traditional savings accounts. Safe if used well: if you diversify your investment across multiple companies, then you should expect a consistent return. Less fees: because the online services work at a lower cost, you pay less fees in the process of investing your money. Now fully regulated: the Financial Conduct Authority now regulates peer to peer websites, with clear rules that they must follow. Risky in the wrong hands: if you don’t invest in multiple sources and spread your risk, you can be vulnerable to companies defaulting on their loans. No safety net: if the peer to peer company goes bust, your money is not safeguarded by the government. How much money can you make from peer to peer lending? How is income from peer to peer lending taxed? Peer to peer lending income is taxed the same as a traditional savings account. The majority of people won’t pay income tax on their lending income, because the Personal Savings allowance is £1,000 tax free for basic rate taxpayers, and £500 for higher rate payers. After this, any income is taxed using current income tax rate. You can also offset bad debt losses against the interest gained before tax is calculated. The Lending Club was one of the first peer to peer lending companies to start providing the service back in 2007. They are based in San Francisco, and offer a full online service. Who owns the lending club? The current CEO of the Lending Club is Scott Sanborn. The current board of directors of the Lending Club consists of Scott Sanborn, John C. (Hans) Morris, John Mack, Mary Meeker, Larry Summers, Simon Williams, Dan Ciporin, Timothy J. Mayopoulos, and Ken Denman. How does the lending club make money? They make money by taking a fee for connecting those wanting a loan to people looking to invest their money in peer to peer lending. This is done through their online portal. What is the lending club scandal? In May of 2016, the CEO of the Lending Club was fired due to conflicts of interest in its lending practices. A lending bank simply means a bank that lends money, which is another way of saying it provides a loan. What is lending tree loans? The Lending Tree allows you to receive multiple finance offers from different lenders, so that you can choose the best provider. What is the meaning of a green loan? A green loan is a loan that’s specifically used to pursue environmentally friendly businesses or initiatives. You can lend small amounts of money on an informal basis without the fear of legal reprimand. However if it becomes part of a wider business then you must become officially regulated. Lending money via peer to peer lending schemes is legal because those companies are regulated by the FCA. The bible refers to lending money and interest in various ways, however the general principle is “to lend with a good heart”, and therefore to never charge more than a reasonable amount of interest that you know the person can comfortably repay without it affecting their daily life.